Welcome to the Altenew Watercolor 36 Pan Set Release Blog Hop! If you arrived here from Altenew Scrapbook Blog you are on the right track! This beautiful set of 36 vibrant watercolor half-pans coordinates perfectly with our line of ink. They are intensely pigmented, fade minimally when drying, and some colors have lovely granulating effects. They are stored in a convenient plastic case, designed with space for your brush (included) and a palette in the lid for mixing. Some of the case lids snap off upon opening and can easily snap back on after you are finished creating so you can store your mixed paints with the rest of the pan colors. 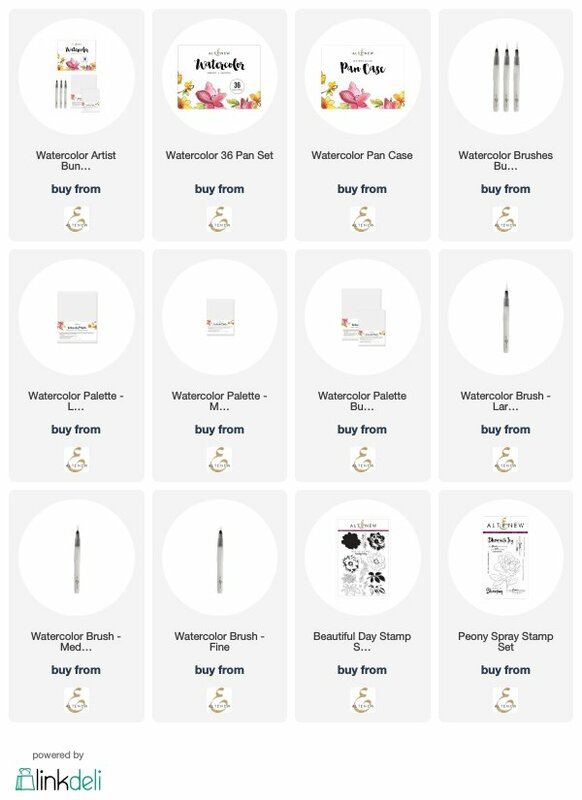 The set contains: 36 Artist Grade Watercolor Half-Pans, Plastic Case, Water Brush. I made my own floral patterns with the Beautiful Day stamp set, and then watercoloured them with brand new Watercolor 36 Pan Set – I love these vibrant colours so much!! To celebrate this release, Altenew is giving away a $50 gift certificate to SIX lucky winners! Please leave a comment on the Altenew Card Blog and Altenew Scrapbook Blog by 8/15/2018 for a chance to win. Six winners will be announced on the Altenew blog on 8/19/2018. 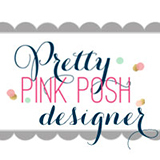 I’m also giving away a $30 gift certificate to one lucky winner! Please leave a comment on this blog post by 8/14/2018 for a chance to win. I’ll announce the winner in this post on 8/15/2018. Your card is really beautiful It has so much depth and detail. The layers of colour on your card are fab. Thanks for the inspiration. Hi Yoonsun! What a realistically vibrant card! Your watercoloring is amazing :) Thanks for sharing! Your card is gorgeous and vibrant! Such a happy card. As a beginner in watercolor, I can only hope to create cards half as beautiful as this! Thank you for sharing your talent with us! Yoonsun I knew I would love whatever you created with these watercolours! Beautiful! These watercolors are amazing and so are your cards. You watercolored these flowers in a stunning way. beautiful cards and amazing colors. Thanks for the inspiration. Just beautiful! Your watercoloring style is just so beautiful! I love the looseness of it, but there’s still so much depth and dimension! The pattern you stamped is lovely and your watercoloring is amazing! Love the color choices. This set of watercolors is really nice. WOW! stunning card. Your water coloring is absolutely gorgeous. I love your choice of watercolor colors in painting your card! It is gorgeous! I love this new set of watercolors! Your card and the Altenew Watercolor set looks beautiful. The dry watercolors look highly pigment and vibrant on your dry project. Crossing my fingers to win a gift card. Love how beautifully you watercolored these floral images!!! Wow, this is the prettiest card I have seen thus far! These watercolors sure gives beautiful results. Thanks! Gorgeous card! Can’t wait to try these pretty watercolors! Your card is beautiful! I love the gray background that you added also. Thx. What a beautiful card. You always have the best ideas. I have this set, but my creations just don’t come close.